Background/Info: Chris Ianuzzi is already active under I, Synthesist for several years now. He released a number of albums and I especially remember “Art Of Survival” released on Electric Fantastic Sound (2007). 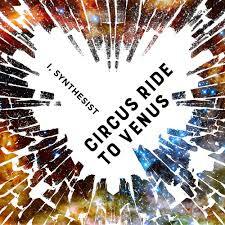 “Circus Ride To Venus” is the newest work by the American musician revealing 6 songs. Content: I, Synthesist remains inspired by different electro-pop formats. You clearly recognize some vintage elements next to a more familiar pop with melodic elements. But this band never has been the typical and classical electro-pop project. 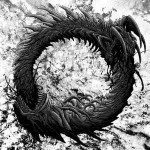 There also is a real strong taste of experimentalism supporting the work of I, Synthesist. The work rapidly moves towards other influences like cabaret music revealing a theatrical way of singing, but still in a kind of electro-punk way. It sounds pretty glitch-like and that’s rather surprising for an artist linked with pop. There’s neither real coherence nor a typical structure in the songs. It’s more a kind of ‘freestyle’ featuring cool passages. Some of the songs and the way of singing remind me a bit of Thomas Dolby. + + + : The least I can say is that Ianuzzi has a really creative mind. He tries to innovate injecting new ideas into electro-pop music. His work is an antidote to all Depeche Mode clowns. I really appreciate the sound treatments and diversity of the work. – – – : I like the diversity and sound-anarchism of this artist, but I’m missing more cohesion especially in the melodic aspect. Is he really dealing with an avant-garde format of electro-pop or just getting cynical with this music genre? That’s artistic freedom and I don’t really care about his real intentions; it’s just that the music is not the most accessible format while there’s no single trace of a climax. Conclusion: This work is a real good example of an artist with a creative mind who wants to innovate, but where the result is missing some essential elements, especially when it deals with electro-pop.